Agreements are the currency of human systems. 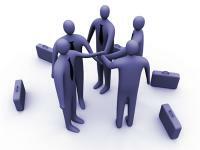 Many agreements are implicit social or cultural conventions. We’re not really conscious that we’ve agreed to anything when we stop at red lights, for example, or when we allow people to exit the elevator before we enter. Other agreements are hard won and inconsistently implemented. When I ask about agreement-building in the organizations I work with, I’m almost always treated to grumbles and snarky comments about the challenge of making explicit agreements on behalf of taking concerted action. It seems nobody is satisfied with how their organization builds agreements. It’s a bit like asking people to comment on the quality of the drivers in their city: everyone drives and everyone else is a bad driver. It’s the Lake Wobegon of an evil parallel universe where everybody is below average. The problem with agreements is that we think we know what the word “agreement” means. We ask others “Do you agree?” or “Are we in agreement?” We ask groups “Are we agreed?” By the way, nobody in a group can answer the question “Are we agreed?” so don’t be surprised if you get confused silence. I will actively support and promote implementation and I’ll work to remove any obstacles that get in the way. I will do my part. Good luck with the rest. I’m OK. with this. I won’t get in the way or prevent this from happening. I’ll do as I’m told. The leader who settles for silence, or even a verbal assent of the form of “I agree,” is bound to be disappointed. If a leader wants active support, but the team’s disposition ranges from “I’ll do as I’m told” to “I’m OK with this,” implementation will be lackluster and the smallest challenge will stop progress. In the end, “agreement” will get the blame and leaders will privately wax nostalgic for the good old command-and-control days. Here’s a tip: The next time you want to check how much agreement you have from a group, don’t use the word “agreement.” Instead, ask what you really need to know: “What are you feeling and thinking about the conclusion we’ve reached and what will you do next to move things forward?” If you’re the type of leader who really wants to know the answer to that question, you’ll get an honest answer and it may mean that there’s more work to be done. It’s better to go slow in order to go fast than to go fast and end up going nowhere. If you’re the type of leader who doesn’t really want to know the answer to that question, then don’t pretend you’re looking for agreement. Just tell people what you expect them to do, and be prepared to live with the consequences of people complying instead of getting involved. I propose we banish the word “agreement” from our agreement-building processes. Are we agreed? Ah, great! Silence.